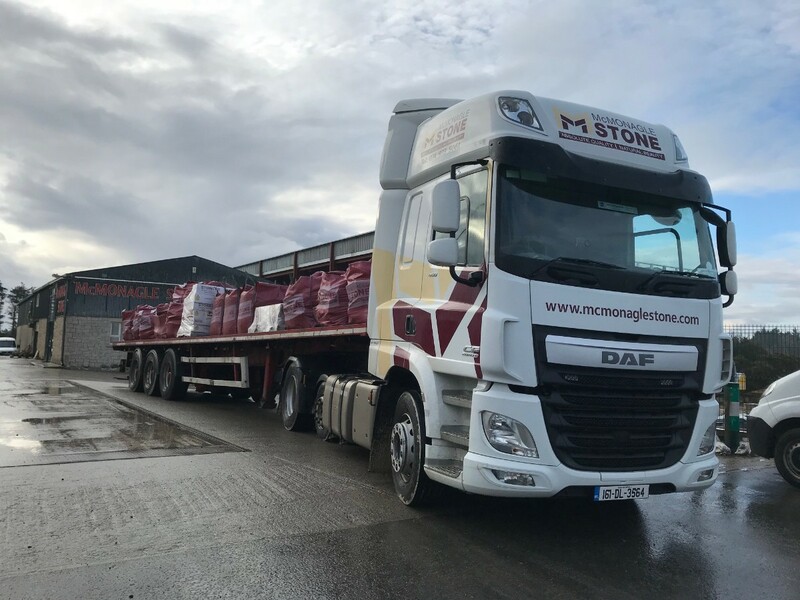 By owning and operating a large fleet of articulated lorries, McMonagle Stone can offer the following delivery options to our domestic and commercial customers. If you do not have access to your own forklift onsite, please advise our team on order and at an additional charge of €30.00 we can deliver your goods by Moffett Mounty Truck. Our artic lorry can carry pallets, bags or crates to full load capacity of up to 28 tonnes. If you have access to your own off-loading equipment please let our team know and delivery can be made without an additional mounty fee charge. 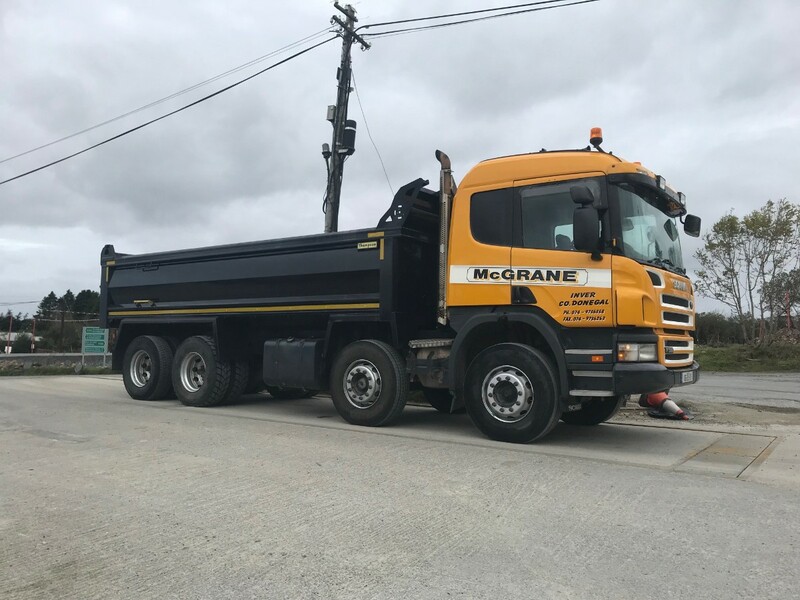 If you require a full 20 tonne load of loose aggregates or building stone you can avail of delivery using a 8-Wheeler Tipper Lorry. 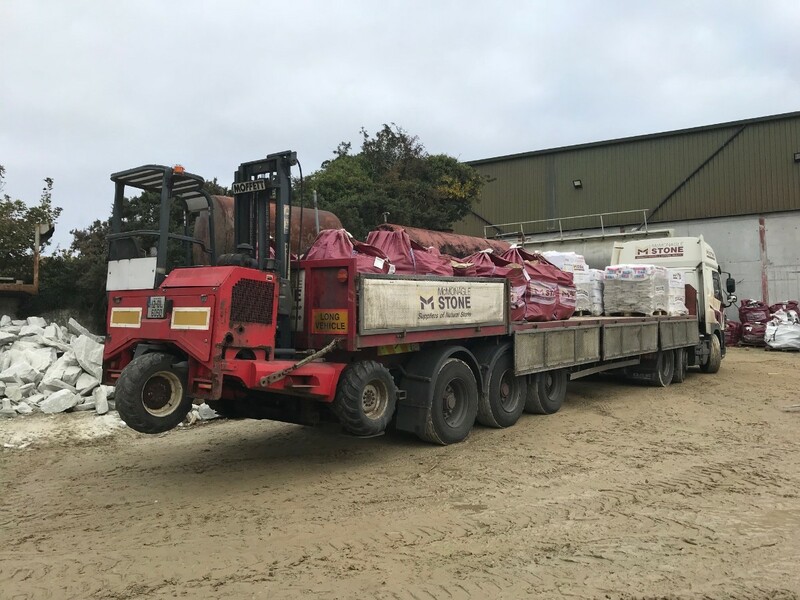 For loose aggregate or building stone orders under 20 Tonne will be sold in Bulk Bags and delivered using our Artic Lorry or a third-party courier. Deliveries for single pallet or online orders will be made Kerbside using a third-party courier. Kerbside simply means that the delivery driver can off load goods to a flat and solid surface using an electric tail lift and manual pallet truck. To ensure your address meets the essential delivery requirements please review our delivery guidelines here. Should your online order exceed 4500kg / 4 ½ Tonne in weight at checkout we would recommend contacting our team directly for a quote.